If you want to break through the deafening noise that is our world today…If you want to stand out from all the others who are just making noise, then you must have impact. You must be able to speak about your book and its message in a way that moves people. This seems obvious, but you would be amazed at how few can do it, and do it well. This is the world we live in today. If you don’t stand out, no one is going to hear you. The noise is deafening. Many authors and speakers are boring. I’m sorry to say this, but it is true. I love authors and speakers. 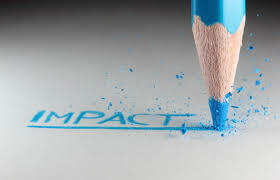 I work with them one on one all the time, but…the language of impact is actionable. It’s active. It’s motivating. It moves people. Yet, what I find when working with new authors and speakers is that most fall very short of being impactful. If you want to move others, you must move yourself first. If you want to inspire others, you must inspire yourself first. When you tell others about your book and its message, does it light you up? Do you get excited by it? Do you feel moved? Yes? Then you are most likely inspiring others. You are already on the right track. Good for you. If, however, you don’t feel moved when you talk about your book and its message, then it’s time to address this. If you don’t feel moved, you haven’t captured it yet. You can hire the best publicist in the world, but unless you can deliver an interview, it will never see the light of day. Your publicist may book you interviews, and they may be tossed in the delete bin if you can’t deliver. That’s why a big part of my work is helping authors to nail this down before they go out to the media — or even do their own content generation. Here’s the good news: The fact that so many others are bad at this means that you are going to stand out once you become good at it. I assure you that when you use impactful language that people really get, you will be way ahead of the game. Embrace this and find your true voice. I have called this media training in the past, but between you and me, I don’t even like the words “media training. ” It implies putting on an act and creating spin with your message. What I’m really talking about is finding your own voice, your own uniqueness and sharing that with the world. Many use the word authenticity, and while I think that word is accurate, it’s overused. Mind you, it has always been important to be compelling and capture people’s attention quickly. What is different is how incredibly distracted most of us, if not all of us, are. The amount of information coming at all of us on a daily basis is way beyond what it has ever been in the history of time. The depth of the “technology trance” that we’re in is vast. Life is one distraction after another. How are you going to break though that? Here are some tips for what you can do to break through the trance. If they lean forward, eyebrows raised, eyes open wider, then congratulations. The nonverbals say you got them. If they say, “Tell me more!” congratulations again. Your verbal skills captured their interest. If they glaze over, if they start looking around the room, if they glance down at their phone, congratulations again. You did NOT grab them and that feedback was instantaneous. Now, it’s a good message. Don’t get me wrong. Life can be tough, and getting through it and thriving is a powerful story, but you want to use language that we haven’t heard over and over and over again. You want to say it in a way that is uniquely you and is tied to your book. 4. Get help if you need it. This is all doable, so don’t sit around wondering what to do. Take action. The best part of my work is helping people to figure this out. I offer two different consultation opportunities: One is for :60 – :90 minutes, and another is for 3 hours. The difference between the two, other than the length of time, is that in the second option we do mock interviews to be sure you know how to deliver when media comes knocking on your door. You want to be ready. Email me if you’re interested and we’ll get something set up. joanne (at) joannemccall (dot) com. Meanwhile, be unique. Be impactful. Like what you’re reading? I’ve got plenty more.